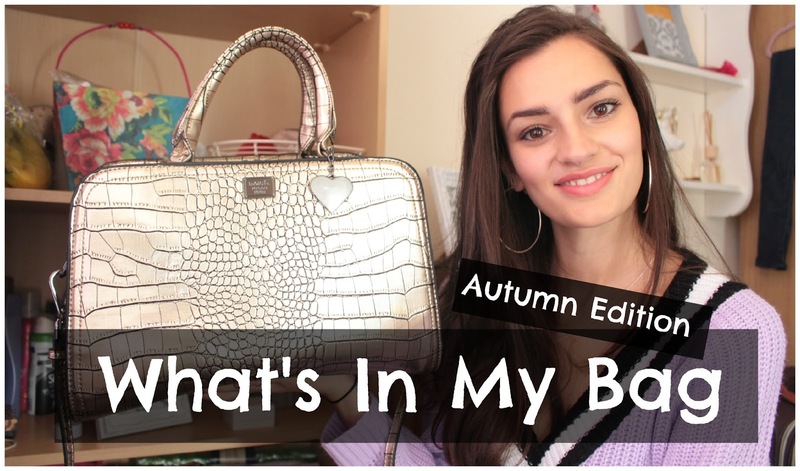 This weeks' video is a look inside my handbag. I recently got gifted this gold beauty from Marc B and thought what better way to show it off than in a video (...and every single blog post since receiving it it seems!). I feel like the contents of my bag is really quite boring but there's something about these videos that makes me want to watch every single one! So I thought why not give it a go myself. Whilst watching, I hope you can overcome the fact that not even long into the video my hair managed to turn itself into a birds nest and just looks so, so awful! Really sorry about that.. ironic as in my previous video I received a comment asking for a hair tutorial, hmm.. I think that's not on the cards any more haha! Also, do any of you have any tips on lighting? I'm working with natural lighting at the moment as I can't justify spending money on artificial lighting but feel like the lighting is all over the place in my videos. I need to take a class or something on 'how to YouTube' - it's so complicated! With that being said, I hope you enjoy the video and if you did then please give it a thumbs up and don't forget to subscribe to my channel; it's my new baby and I really want to work on it and hopefully see it grow alongside my blog.